Had it happened two days before, the stashed jug stuffed with 20’s would’ve been 25 Jacksons lighter. At $5 a mile after exceeding AAA’s 200-mile free ride on a flatbed, I should’ve knocked or rubbed some sort of organic lucky charm that it didn’t. Ripping through the gears out of the Exit 14 tolls off the New Jersey Turnpike, I was about 15 miles from home when I caught a whiff of coolant. "That can’t be me…impossible; it’s the car up ahead," I said to myself. But my gut knew the inevitable was about to happen. The orange needle minding the temperature was at 7 o’clock, then it slowly crept to the second white bar at 9 o’clock, and stayed there for a bit before sinking back to where it’d been. 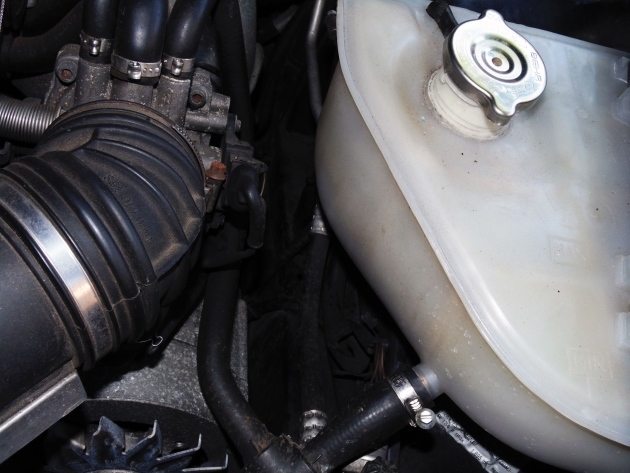 An empty coolant expansion tank…you’re not going anywhere. The whiff of coolant was a memory…and then the temperature gauge started flickering up and down. It was going to the hilt, I had seconds to scrub off the speed and look for a safe spot on Interstate 78 before this 968 became a serious liability. I shut the old girl off as we rolled to a dead stop. Disaster, for the moment, was averted. For a second or two, I felt confusion, paired with the sort of "What the hell am I going to now?" feeling of helplessness. It’s as if breaking down in Porsche was a completely foreign concept to me. It was. The general location of the leak was easy enough to spot. When a car bleeds out its coolant, you’re not getting home without a piggyback ride that could arrive an hour later at the earliest. 3:00 p.m. on a June Friday afternoon when nearly everyone in the Garden State is beach-bound could mean waiting twice that before a flatbed arrives. This is all worst-case scenario thinking; there could be hope in that not all of the coolant leaked out. I pop the hood, check the mirror, waited for the semi to roar by, and squeezed out of the cockpit. The coolant expansion tank was empty. 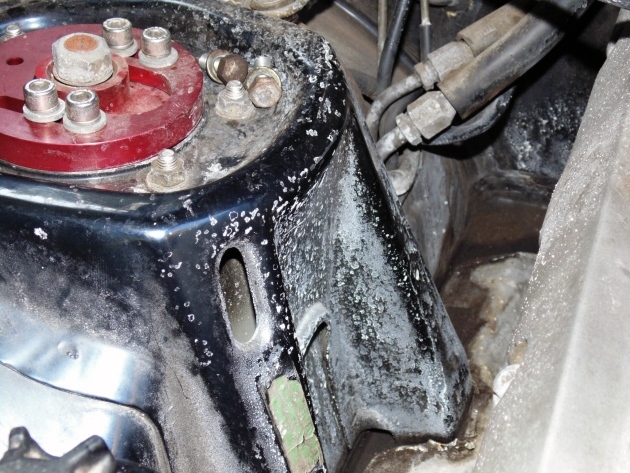 A trace of steam by the exhaust manifold evaporating into the air reveals the problem — the heater control valve had leaked the last drops of red juice. The sealing bond, or lack of it, holding the two halves of the unit together failed. It literally had less than 3,000 miles on it. I won’t get into how six months earlier I had replaced the water pump, timing and balance shaft belts, rollers, and some ancillary bits with parts supplied from Porsche. And I absolutely refuse to digress how I also replaced the Porsche-supplied hoses into and out of the "German" aftermarket heater control valve made in China that I’d replaced along with them. The aftermarket junk…the two halves have nearly split apart. Why I decided to save 50 bucks buying the offending component that put me in this predicament is still a mystery. It cost me twice that after doing what I should’ve done in the first place — buy the thing from Porsche. There’s no logic in this equation. When car keys end up in the refrigerator cheese drawer and forgetting to put pants on before leaving the house become common occurrences, such onset age-related misfires in the brain can be excused. What I should’ve gotten in the first place. "So let me see if I got this right," said Mike at Ray Catena Porsche holding the Porsche-tattooed heater control valve box. "You bought everything to do the belt job from us, and you skimped-out on this?" A few more guys behind the parts counter gathered round to hear my explanation. "Look," I say, knocking my head on the parts counter a few times. "Just gimme the thing and a gallon of coolant…OK?" They laugh at my expense. Knowing me for 20-some-odd years, they still can’t understand my lapse in judgment. The irony is that I always advocate the importance of buying replacement parts from Porsche when the conversation turns to the topic. I stress the differences between the genuine article and OEM, how there’s a higher standard for the former when the latter manufactures it for them. Despite the fact some think it’s the same part but in a different box, it isn’t. A few colleagues who’ve worked for Porsche as engineers and technicians told me this time and again. 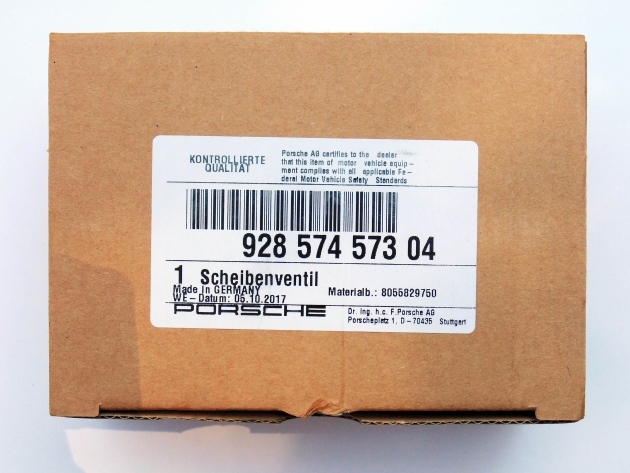 There’s a reason why Porsche offers a two-year warranty on genuine spare and replacement parts. 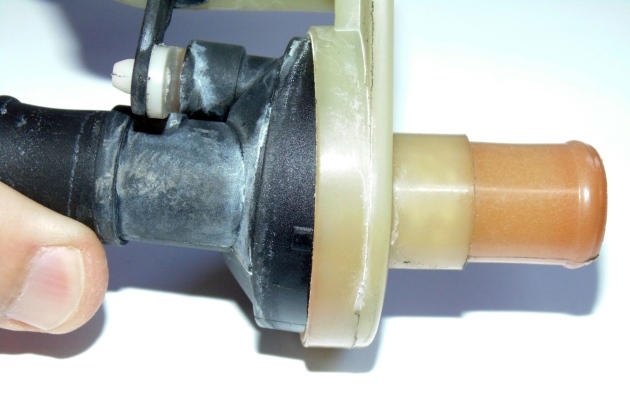 The heater control valve I removed was a genuine Porsche replacement that had 178,282 miles at the time of replacement. I wasn’t sure how long ago it may have been replaced. It had just started to show signs of leakage by the pink/white crust forming around the seams. 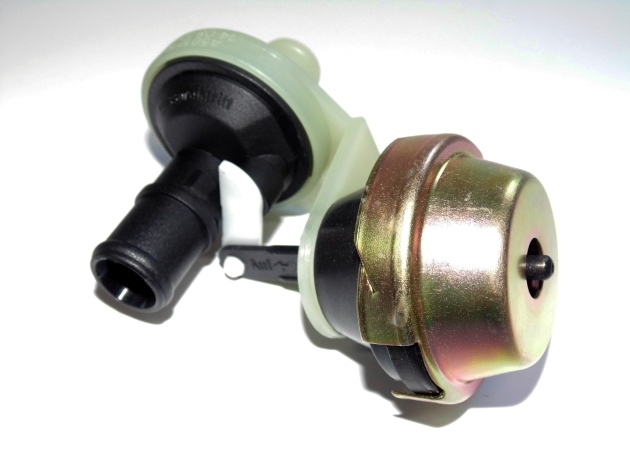 Genuine Porsche heater control valve updated with a zinc-plated cap to protect the diaphragm. I’d also replaced the valve in our 944S with a genuine Porsche unit for the first time 10 years ago; the slide valve actuator had broken off. To this day, it shows no signs of leakage, and still has a functioning diaphragm. 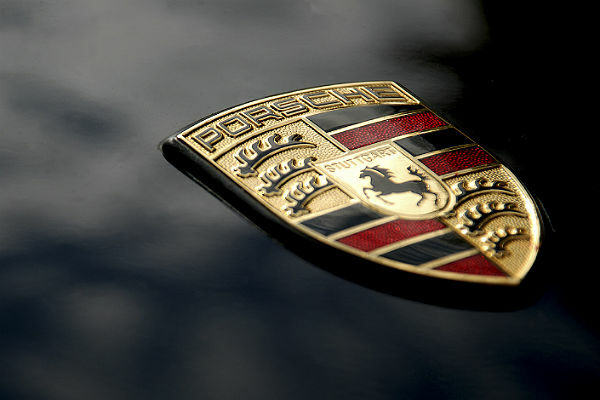 To further compound the argument I should’ve had with myself prior to buying that aftermarket junk was how Porsche rigorously tests both pre- and post-production models to ensure and demonstrate longevity. Gerhard Plattner, Porsche’s public relations man in Austria at the time, drove a 968 100,000km in 100 days. When that 968 was completely taken apart after the test was over, not a single part was found to be defective. So many of the wear-and-tear items on these cars I’ve replaced were done so at around the 100,000-150,000 mile mark. Most were original to the car since new; in some cases, 20 years after its birth. They were either worn out or done for the sake of age, but never because of a failure. When I think of how many times I or my wife have broken down with any of our daily driven Porsches in the past 20 years, it could be counted with one hand — three. The 944S had to be towed home because of a bad DME relay. The 993…one of the oxygen sensor’s wires came in contact with the exhaust and melted the sheath shorting out the fuel pump fuse; it took me half a day of wiring diagram tracing to find that fault. It had to be towed home. Neither of these two instances had anything to do with aftermarket parts. Age took its toll on one, and the other was an aberration. The 968 is the only Porsche we own where an aftermarket replacement part was used. It’s also the last time I’d ever be so foolish. No amount of risk is worth taking in spite of saving a few dollars. And with Porsche’s competitive parts pricing these days, the savings gained by buying the aftermarket item is negligible. I got off easy on this one. A dyed-in-the wool, air-cooled 911 junkie, Pablo Deferrari doesn't discriminate against other Porsches. Want further proof? He's in love with Porsche’s early water-cooled models and is dedicated to the celebration of the 924, 928, 944 and 968 series. Pablo is one car away from having all four of these models in his own collection: the 924.